None of us would want to be remembered only for something we once said or once did. Fifty years after his disappearance off Cheviot Beach, the 17th Prime Minister of Australia, the Right Honourable Harold Edward Holt, Companion of Honour, deserves a place in the nation’s history as a social reformer, an astute legislator and a democratic advocate who brought humanity to Australia’s highest elected office. In recalling the political dramas that followed his death, we should not overlook what Harold meant to family and friends and acknowledge the dignified way in which his widow Zara, sons Nick, Sam, Andrew, and the extended Holt family conducted themselves in the days after his disappearance when their grief and sadness were not hidden from the Australian people. 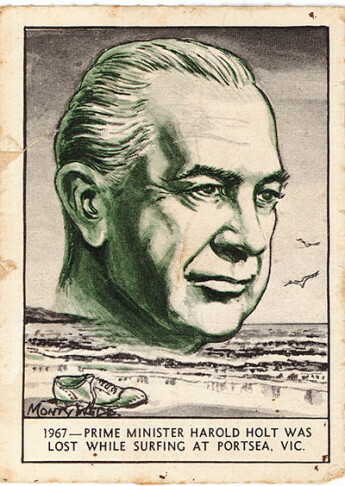 There is a sense in which Harold Holt does stand in the shadow of Sir Robert Menzies, the nation’s longest serving prime minister. Indeed, Harold Holt modelled himself, in part, on Menzies who encouraged an orderly succession of power when he stood down on Australia Day 1966. Although Holt was never ‘anointed’ as Menzies’ successor, he had gained experience and expertise sufficient for his colleagues to elect him unopposed as their leader and the 17th prime minister of Australia. Standing firmly in the tradition of Victorian liberalism although hailing from Sydney (being born across the street from where I was born in the suburb of Stanmore), Holt believed that government had to discern and then respect its place in human affairs, that it should not intrude unnecessarily in social life nor presume to know what was best for its citizens. But that did not prevent him from believing that government should display compassion when the need was compelling and demonstrate charity where it had the competence to alleviate distress. While there was no overarching vision for the government he led (not knowing the office of prime minister might be his until Sir Robert informed the Cabinet of his intention to retire), Holt believed a close relationship with the nations of South-east Asia made good economic sense, a strong relationship with Britain and the United States made good strategic sense, and a sound relationship with public institutions and civil servants made good administrative sense. He believed that government existed to help individuals to flourish in whatever was their chosen vocation; to facilitate and not to dominate. That was his credo. It is impossible in a brief reflection to do justice to his 692 days as prime minister. Some of his achievements in the arts and aboriginal affairs have recently been recognised in 50th anniversary commemorations. As a man who practiced Cabinet solidarity, they were achievements Holt would insist should be shared with colleagues, but they were profound and enduring. Some historians have dismissed the period between 1966 and 1972 as nothing more than the turbulent aftermath of the Menzies era marked by Liberal Party in-fighting, essentially bleak and barren years. But they have failed to notice the social, economic, diplomatic and institutional policies implemented by the Holt Government. As now, change was not easy to bring about then, especially with a large and frequently fractious backbench but he carried the party and the parliament with him. On his untimely death, Opposition leader Gough Whitlam, speaking in the Representatives chamber, praised Holt as a ‘great parliamentarian. He was at once the servant and the leader of this House. This was the place he knew best; this was the place where he was best known’. The former Country Party leader Sir Arthur Fadden described Holt as one of the ‘kindest men I knew in politics’. Sir Alexander Downer remarked that he had ‘an unusually rounded personality. His warm nature, his liking for, and interest in people, combined with infectious personal charm, soon made him one of the most popular members of the Australian parliament. He quickly communicated these same qualities to all sections of Australians; whether they shared his politics or not, they admired his integrity, his passionate enthusiasm for his country and his belief in its future greatness’. 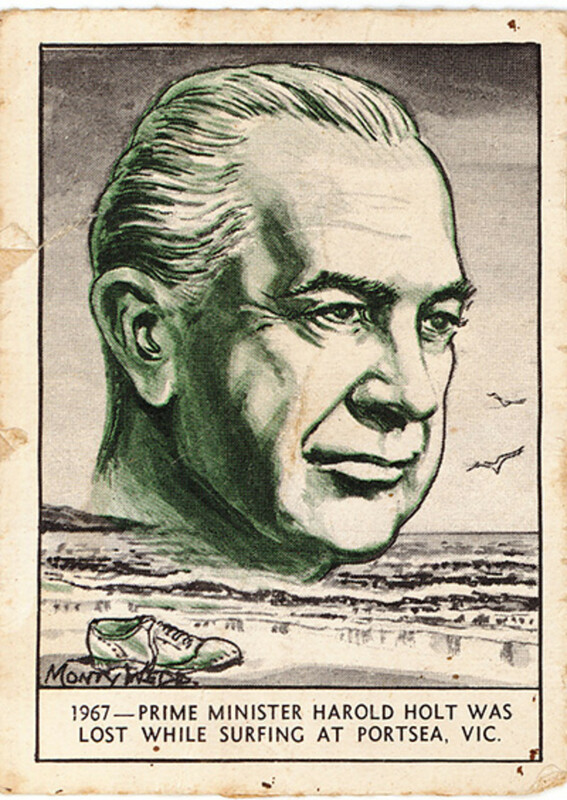 Had Harold Holt not visited Cheviot Beach on 17 December 1967, the country would have gone in a different direction in respect of trade and tariff protection, foreign policy and international relations, and in education and cultural enrichment. He possessed a progressive temperament. It was Holt who responded to the United Australia Party’s devastating loss in 1943 as ‘the death blow to the die-hard Tories’. Had Holt’s disappearance not created a leadership vacuum, the nation would never have experienced Prime Ministers McEwan, Gorton and McMahon. And had the Opposition leader Gough Whitlam faced someone else at the 1972 election (because I firmly believe Holt would have retired in late 1971 or early 1972), the Coalition might have been victorious one more time and the Whitlam Government might never have been elected. The fascinating ‘ifs’ accumulate. Which is where I want to end … with ‘If’ – the poem by Rudyard Kipling that summarised Harold Holt’s philosophy of life. He kept a copy with him and knew it by heart. ‘If’ is a tribute to what Harold Holt hoped he would be, and what he might have been, had he lived longer. Harold Holt, I pray he rests in peace. Professor Tom Frame is the author of The Life and Death of Harold Holt (Allen & Unwin, Sydney, 2005). A former naval officer and Anglican Bishop to the Defence Force, he is currently the Director of the Australian Centre for the Study of Armed Conflict and Society (ACSACS) at the University of New South Wales, Canberra.